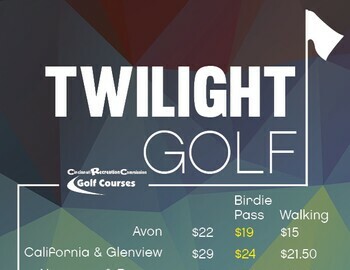 Have you seen our new Twilight Special Rates for the Summer? Not only can you enjoy these rates every weekend at Glenview, the other 5 CRC courses also have reduced rates at this time. The rain looks like it will be leaving us for most of the weekend, so come out and enjoy these new rates! Hope to see you at Glenview G.C. Soon!